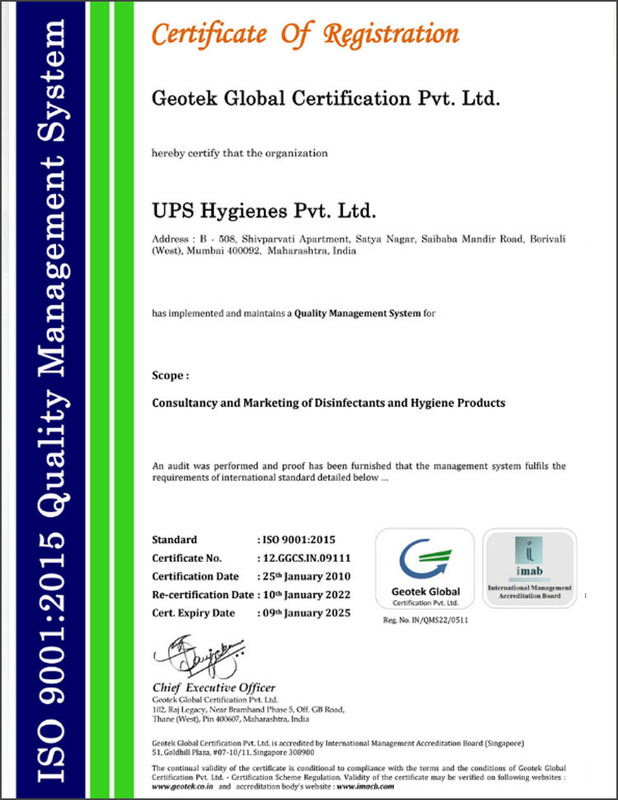 This was possible because of the wholehearted support of all our customers in this journey towards TOTAL QUALITY MANAGEMENT. UPS Hygienes has always been a quality focused organization. On this important event, we reiterate our commitment to provide our customers the Products and Services that will meet the changing needs. We expect your blessings in the journey towards even higher quality.